The CD250 Dispenser has been specifically designed to dispense large volumes of resin. Applications include Bridge Overlays, High Friction Surfaces, Parking Garage Traffic Systems, and Two Part Sealers. 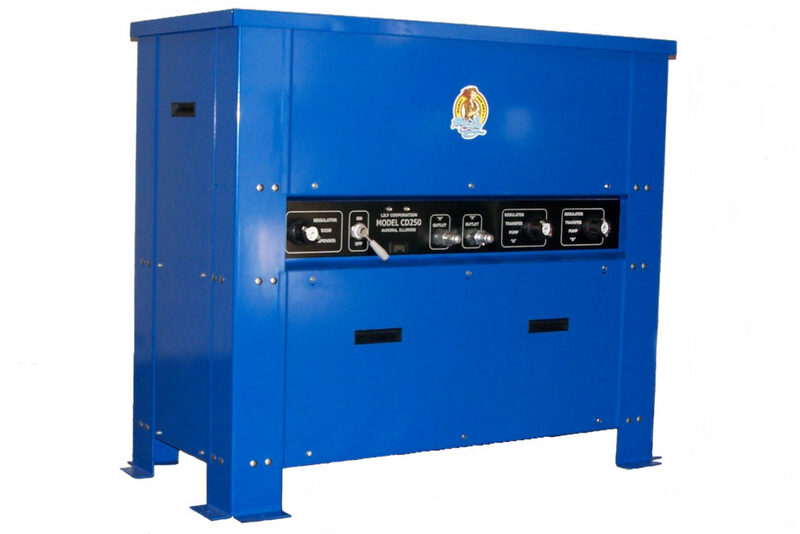 Dispense rates of 500 gallons per hour or more are obtainable. The CD250 is pneumatically operated and utilizes self monitoring air logic controls to assure ratio accuracy. Viscosity differences between resin components due to chemistry or temperature will not affect the dispenser’s ability to maintain ratio. There is no need to monitor flow rates or adjust pressures. Clean-up is limited to the disposal of the static mixer.